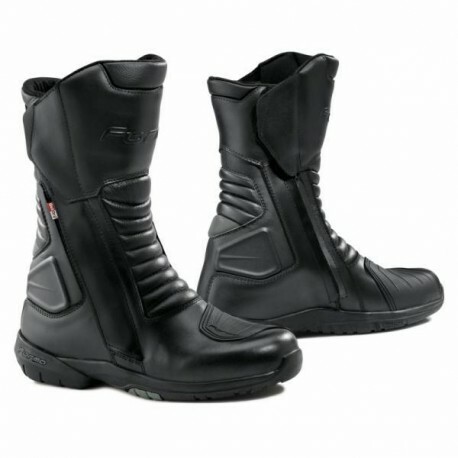 Smidig touringstövel i fullnarvskinn med två dragkedjor i fram för lätt "på och avstigning"
These Forma Cortina Motorcycle Boots, in Black, are made from Full Grain Leather fitted with an Outdry laminated membrane to make them totally waterproof. 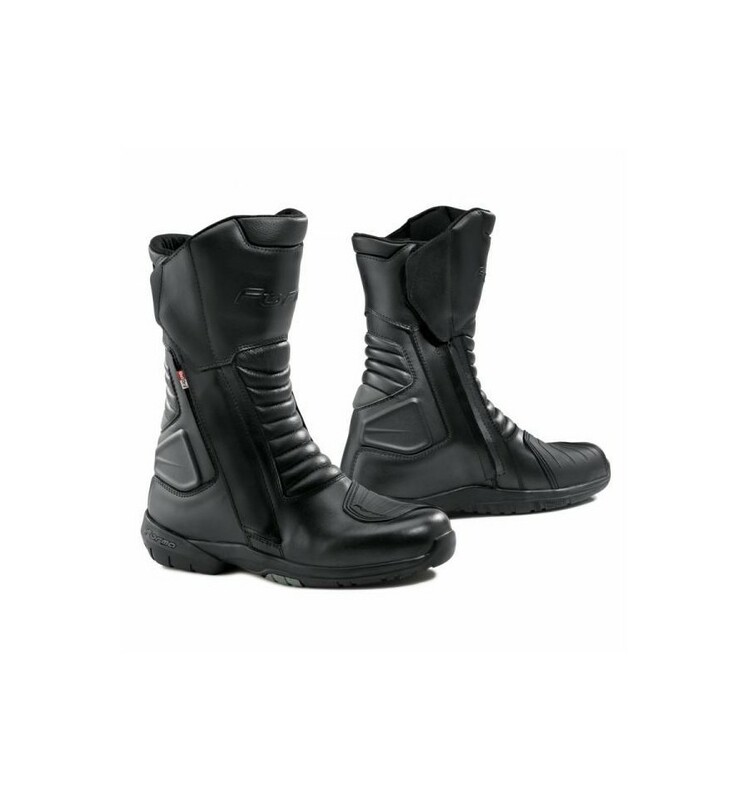 Ideal for touring and everyday use these Forma Outdry Boots feature a double opening system with 2 side zips making them easier to put on and take off as well as improving the comfort and fit. Reinforcements in the form of PU protectors are fitted on the shins and ankles for impact and abrasion resistance.